Natural resource managers and conservationists are often confronted with the challenges of uncertainty. 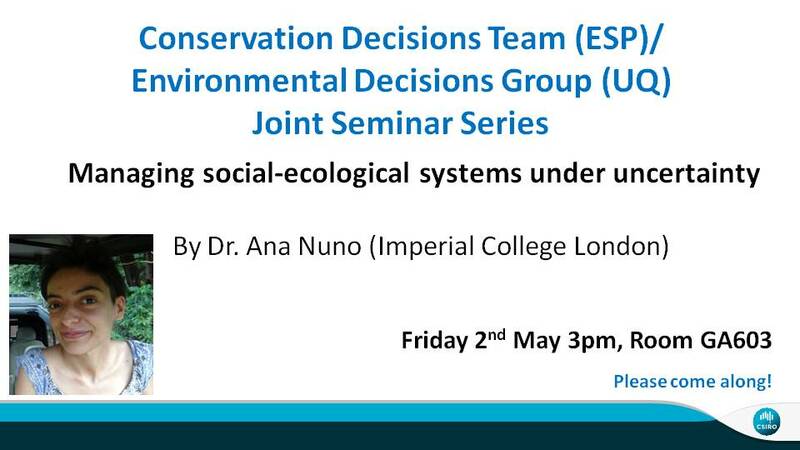 In this talk, I will present some of the work done for my PhD, in which I used a multidisciplinary approach to gain a better understanding of the role and implications of different sources and types of uncertainty for the management of social-ecological systems. Giving special attention to the issues of observation and implementation uncertainty, I used the conservation of ungulate species in the Serengeti, Tanzania, as a case study to ask questions regarding the monitoring of wildlife and illegal resource use, and the implementation of effective conservation actions.